Comedian Joan Rivers died Thursday, September 4, a week after suffering cardiac arrest during a medical procedure, her daughter said. She was 81. Click through the gallery to look back at her career. Rivers' big break came in an appearance on Johnny Carson's "Tonight Show" in 1965. It was the beginning of a relationship that would include dozens of appearances as guest and guest host. Rivers followed her Carson breakthrough with appearances on talk and variety shows. 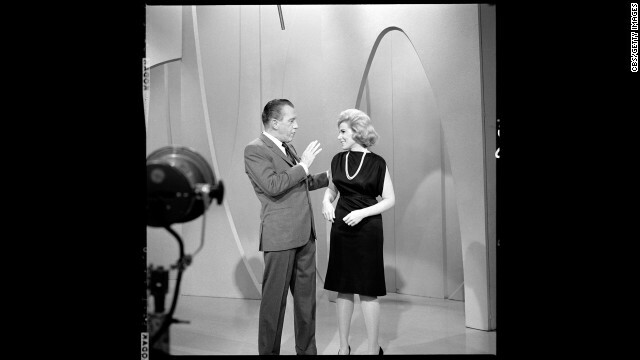 Ed Sullivan had her as a guest in 1966. Rivers hit a peak in the 1980s, headlining in Las Vegas and becoming a regular guest host on the "Tonight Show." Rivers is famed for her quick wit, which she often uses against herself. 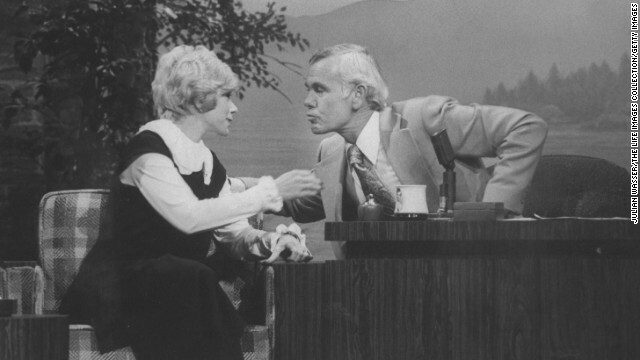 Rivers later hosted talk shows of her own. Here, she chats with Dolly Parton. She starred on the daytime "Joan Rivers Show," for which she won a Daytime Emmy, for five seasons, from 1989-1994. Here, she poses with her dog, Spike. Rivers wanted to be an actress when she was young, and she fulfilled that goal after her success as a comedian -- though sometimes playing herself, as she did on "Nip/Tuck," with Julian McMahon, left, and Dylan Walsh. Rivers and her daughter, Melissa, have been regulars on awards show red carpets, critiquing celebrity fashion with lines both generous and cutting. Rivers talks with Tim McGraw and his wife, Faith Hill, at the Grammys in 2005. Rivers with Tina O'Brien at the British Academy Television Awards in 2007. 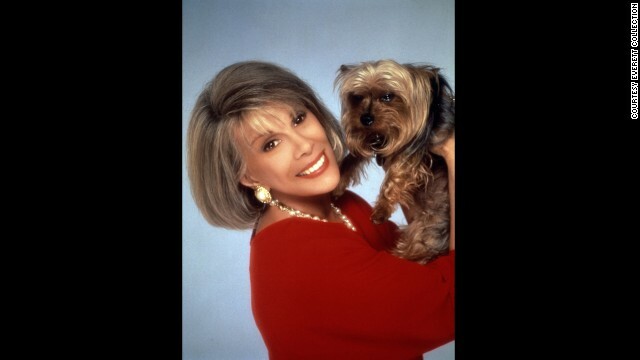 Rivers was a star among comedians, admired for her longevity and wit. She attended the Mark Twain Prize ceremony in 2008. The honor that year went to the late George Carlin. Kathy Griffin is one of many comedians who can cite Rivers as an influence. Like Rivers, Griffin is known for mocking celebrities at various events. Here, she and Rivers share a stage during a Rivers roast in 2009. Rivers proved herself to be quite the savvy businessperson by winning a season of Donald Trump's "Celebrity Apprentice." Trump and his wife, Melania, join Rivers at the season finale in 2009. Katie Finneran and Rivers attend the Broadway opening after-party of "Promises, Promises" at the Plaza Hotel in New York in 2010. Rivers, a fashion lover, attends the LensCrafters' reveal of Sunglass Fashion Crimes in 2011. In February 2013, she attended the Dennis Basso Fall 2013 fashion show. Alongside her, from left, are Martha Stewart, Star Jones and Kelly Bensimon. 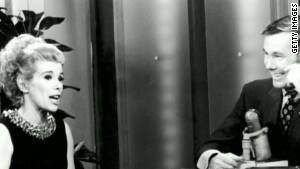 After a falling-out with Johnny Carson, Rivers didn't return to the "Tonight Show" until earlier this year, when Jimmy Fallon took over as host. She was a guest on Fallon's show on February 17. 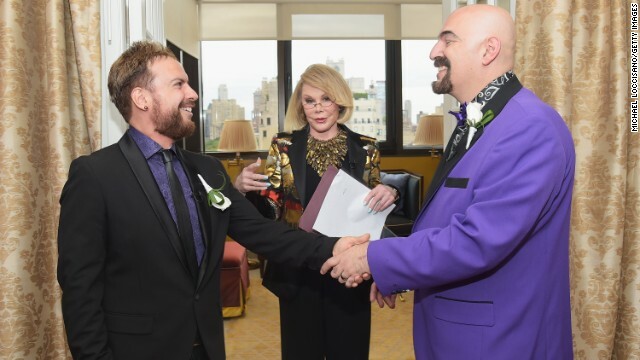 Rivers officiates the wedding of William "Jed" Ryan, left, and Joseph Aiello at the Plaza Athenee on August 15 in New York. (CNN) -- An autopsy on comedian Joan Rivers has been completed, but more studies will be needed to determine the cause and manner of her death, New York City medical examiner's office spokeswoman Julie Bolcer said Friday. Rivers, 81, died in a New York hospital Thursday afternoon, a week after suffering cardiac arrest during a medical procedure, her daughter said. Rivers had been on life support at Manhattan's Mount Sinai hospital, where she was taken after she stopped breathing at the Yorkville Endoscopy clinic on August 28. The outpatient clinic is now being investigated by the New York State Department of Health, spokesman James O'Hara said. No criminal investigations are currently under way in Rivers' death, according to several New York law enforcement officials. The state health department is investigating whether there was any malpractice by the doctors and their staff, the same officials said. The Rivers family made very little information about her medical condition public, finally confirming Tuesday that she was on life support. Melissa Rivers and her son Cooper have spent the past week by Rivers' hospital bedside, rushing there last Thursday when they learned of her illness. "My mother's greatest joy in life was to make people laugh," Melissa Rivers said. "Although that is difficult to do right now, I know her final wish would be that we return to laughing soon." The clinic has not responded to repeated calls from CNN about the state's investigation. 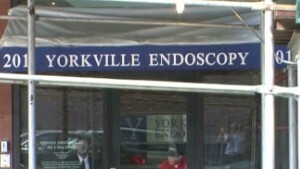 Yorkville Endoscopy's website says it is an "ambulatory surgical center" that has been "approved by the Department of Health." The description of its accreditations is blank. "Yorkville Endoscopy is a state of the art facility, staffed by highly experienced endoscopists whose mission is to provide safe and compassionate care to patients and their families," the website says. The funeral for Rivers will be at Temple Emanu-El in Manhattan on Sunday, according to temple spokeswoman Elizabeth Fezrine. Details, including the time and if the public will be allowed to attend, are not yet known, she said. Tributes to Rivers and her long career included one from former first lady Nancy Reagan, whose close circle of friends included Rivers. "Joan Rivers was not only a dear friend, but one of the kindest and funniest people I ever knew," Reagan said. "I doubt there's anyone who hasn't laughed at her or with her until they cried. Today our tears are those of sadness. 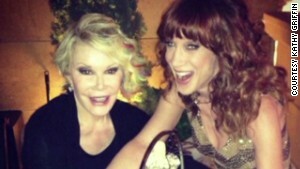 I know I join millions in saying, 'Thanks for the good times Joan, we will truly miss you.' My love and deepest sympathy go to Melissa and Cooper." Former CNN host Larry King knew Rivers for 45 years. "She knew no boundaries," King said. "Everything was funny to her. You couldn't really object because she took no prisoners." Donald Trump, who chose her as the winner on a season of "Celebrity Apprentice," said Rivers "was stronger at the end than she was at the beginning. She had unbelievable stamina." Ryan Seacrest, who worked with her on E! shows, called Rivers "a trailblazer in so many ways." Liza Minnelli said Rivers was "my dear friend." "I will miss her but I will always remember the laughter and friendship she brought into my life," Minnelli said. E! and NBCUniversal, producers of Rivers' TV show "Fashion Police," sent condolences to her family on "this incredibly sad day." 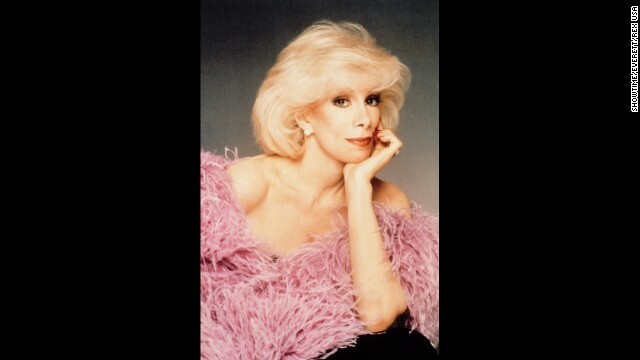 "For decades Joan has made people laugh, shattered glass ceilings and revolutionized comedy," the studio said. See more about the people of comedy at CNN Comedy. CNN's Marisa Marcellino, Susan Candiotti and Joan Yeam contributed to this report. Joan Rivers, the sassy comedian whose gossipy "can we talk" persona catapulted her into a career as a talk-show host, author and red-carpet maven, has died. 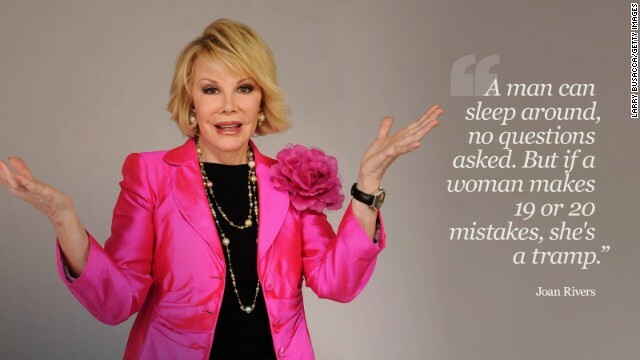 From red carpets to roasts to late night TV, Joan Rivers has graced the many great stages of comedy. Brian Stelter and Entertainment Tonight's Nancy O'Dell look at Joan Rivers' groundbreaking career. 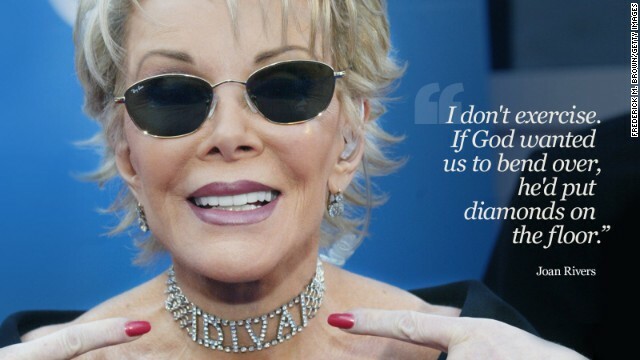 A look back at Joan Rivers through some of her more memorable quotes. Joan Rivers talked to Larry King in 2010 about being a comedian and how she handles jokes and real-life emotions. 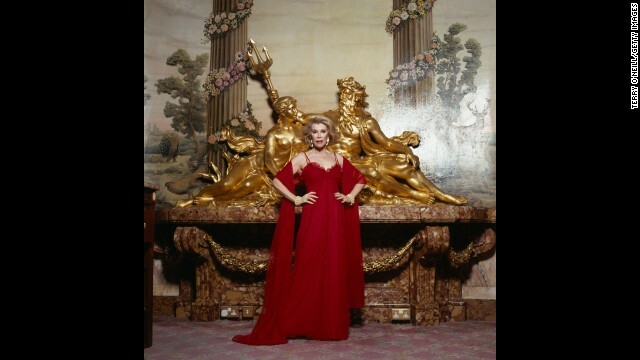 A look at comedian Joan Rivers through the years. 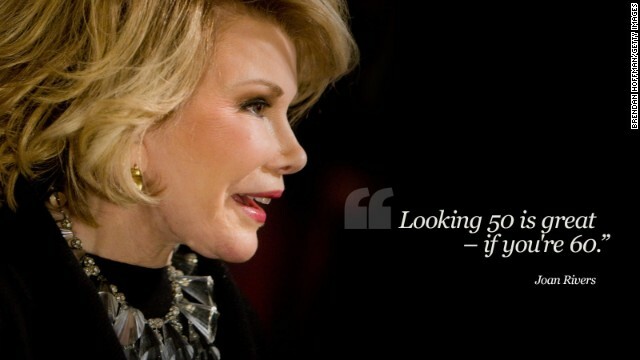 Comedian Joan Rivers lost her life after having an apparently minor elective procedure at a Manhattan medical clinic. When Joan Rivers had her star-making 1965 appearance on Johnny Carson's "Tonight Show," he told her, "God, you're funny." She was a perfect stand-up comic. Self-deprecating without being self-deprecating. Her jokes were flawless. And she was always the smartest person in the room. 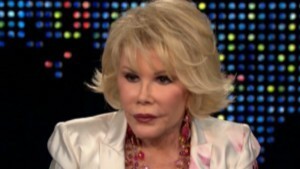 Joan Rivers talked to Larry King in 2010 about her love of performing. The outpatient clinic where comedian Joan Rivers suffered cardiac arrest during a procedure is being investigated. Stand-up comic, writer and winner of two Emmy Awards, Judy Gold, reflects on the life of her hero Joan Rivers. Rivers' death leaves huge hole at E! 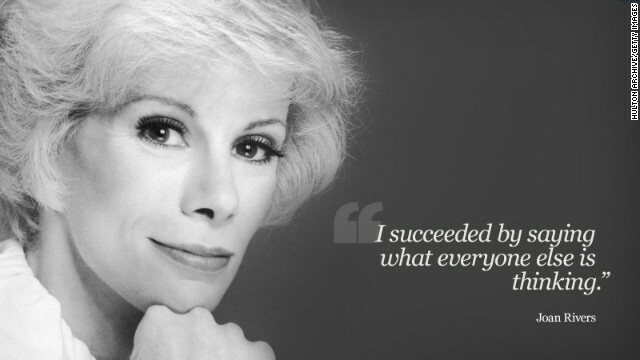 The death of comedy legend Joan Rivers was felt acutely at E! Entertainment, which has lost a mainstay of its network for the last 20 years.